Brain injuries, often referred to as Traumatic Brain Injuries (TBI), develop from a violent blow to the head or the shaking of the head, which results in the trauma of the brain forcefully collision with the skull. For the 1.5 million people that annually experience traumatic brain injuries, the injuries that result are often devastating and result in physical, emotional, and behavioral problems. These injuries can cause a permanent vegetative state, comas, and death. Motor vehicle accidents cause over 50% of brain injuries; many of these car crashes are caused by negligence. Certain types of brain injuries often occur more in specific age groups; with children, brain injuries often come from shaking the child violently while slip and fall or trip and fall accidents result in birth injuries of victims 65 and over. 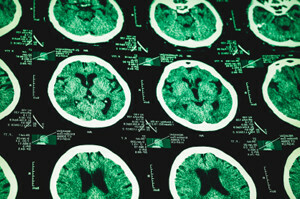 Other brain injuries often occur due to assault or firearms. Serious brain injuries are not always easy to spot. With minor brain injuries victims often have headaches and dizziness and may have trouble focusing and concentrating. The brain injury is more severe when the victim may begin seizing or vomiting as their speech begins to slur; the victim is likely to go unconscious. If you or the loved one has a brain injury, you need a personal injury attorney that understands the emotional and physical toll that a traumatic brain injury can take on its victims. The attorney should be aggressive in seeking the compensation that you deserve.